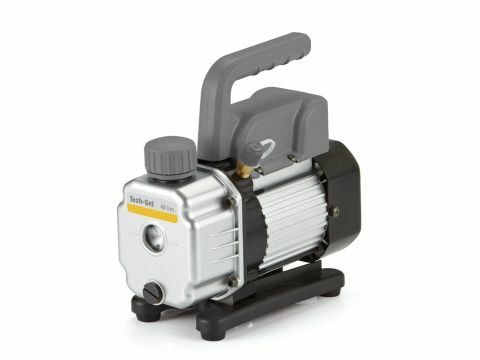 TAVPC96SE | Tech-Set™ 3 CFM Single-Stage 220-240V Vacuum Pump - CPS Products Inc. The Tech-Set line of vacuum pumps are designed for the working HVAC technician, and feature a core, essential line of good value vacuum pumps that provide affordable, reliable and dependable service. 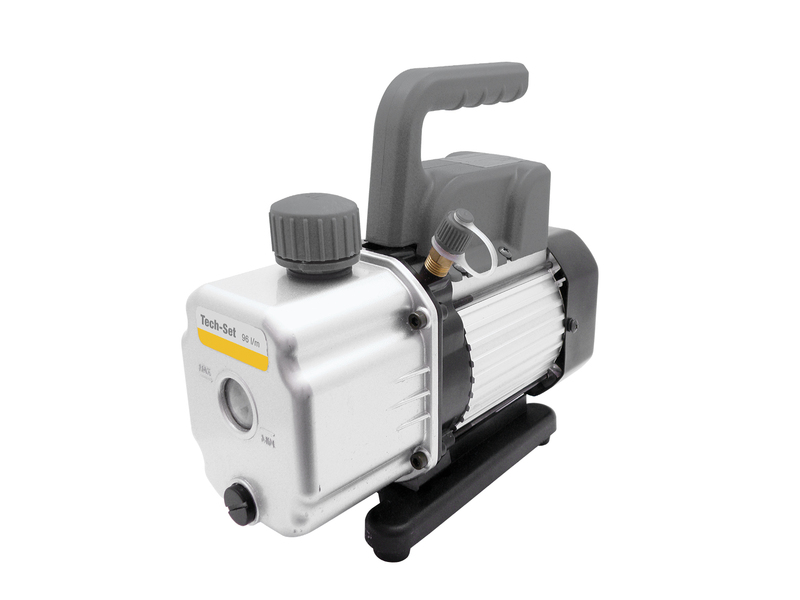 All models are single stage and feature small, lightweight and compact housings with dedicated 115VAC or 220VAC IEC plug configurations. 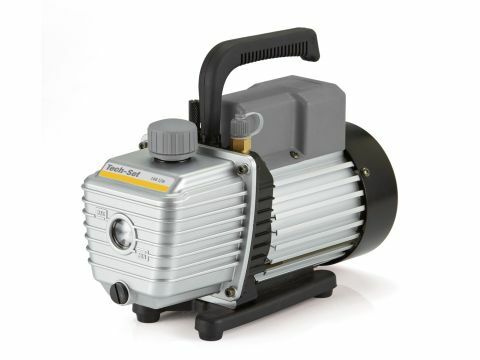 Models range from 1.5, 3 or 5 CFM, 1/5 to 1/3 horsepower, and ultimate vacuum ratings from 50 to 100 microns.